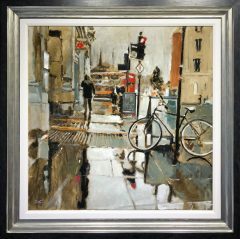 We are honoured to be the leading gallery who represent the Artist David Coulter. 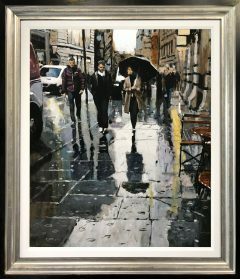 We have the largest stock of Dave’s work available in the UK. 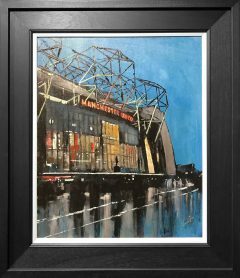 We are also proud to be the only gallery to exhibit Dave’s new style Manchester City Centre Paintings. 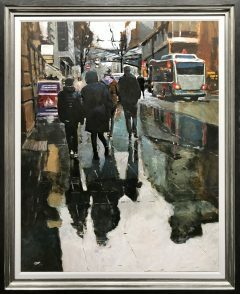 David Coulter’s paintings of Manchester street scenes are propelling him to stardom in the art world. 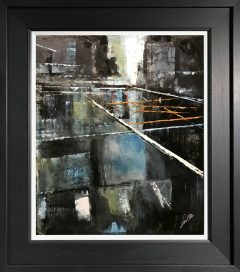 But he originally earned his living painting radiators. 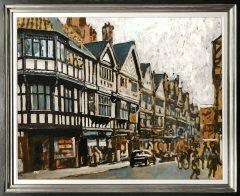 The 70 year old grandfather of three has created more than 500 pictures of his home town. 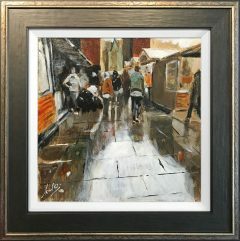 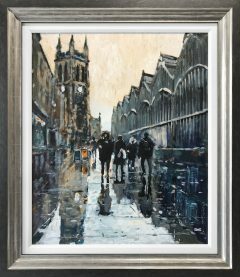 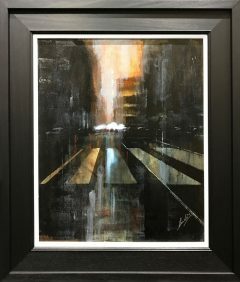 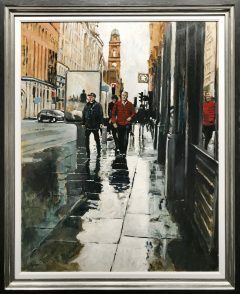 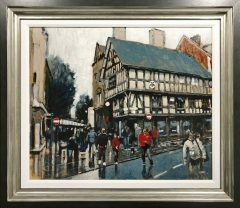 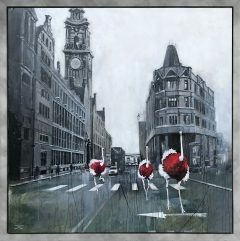 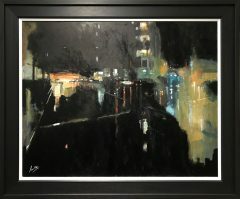 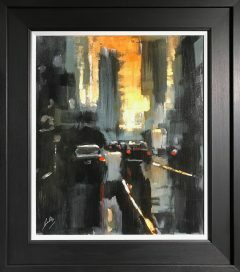 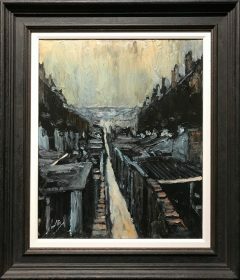 Following his first exhibition of scenes from the city centre, huge interest arose among art lovers who are now clamouring to buy David Coulter paintings. 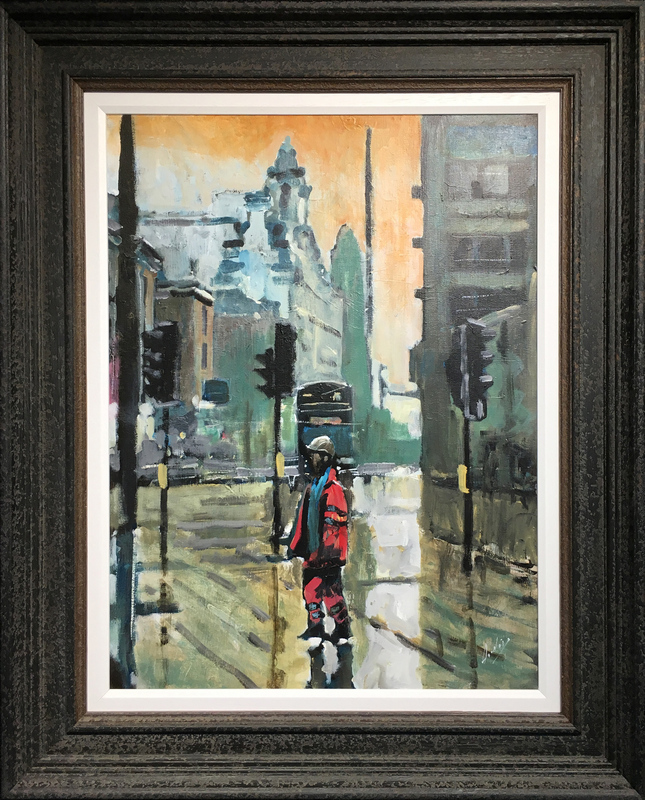 David, who grew up in Chorlton-on-Medlock, has been restoring and painting radiators from building reclamations for almost 50 years. 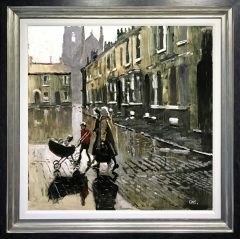 But in his spare time he used to take his easel around Manchester. 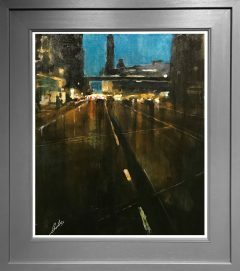 Particularly Oxford Road, Portland Street and St Peter’s Square, to capture the city in oil and acrylic paint. 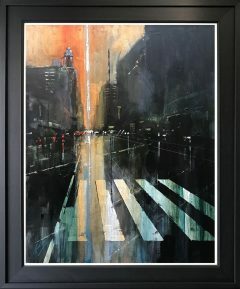 After painting for years as a hobby. 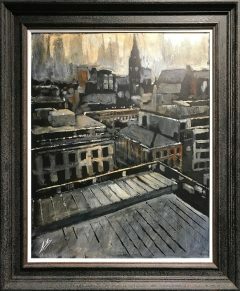 David began to take his work more seriously after he had two heart attacks and doctors told him to take life easier. 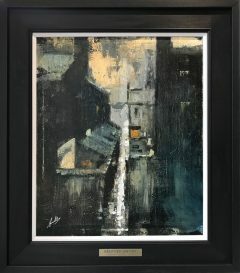 David was great friends with the Legendary Northern Artist Arthur Delaney. 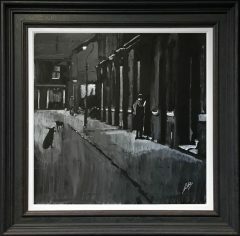 You can see the Arthurs influence in Dave’s early work, however Dave has greatly evolved as an artist. 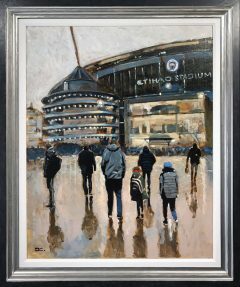 He has the talent to be able to paint in various different styles, but seems to have settled down with his latest series of Manchester City Centre paintings. 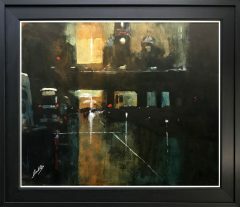 slightly abstracted but with hints of detail make his paintings incredibly powerful.